A developer is seeking approval from Lakewood and Toms River to build a kindergarten through eighth grade charter school that would span lots in both townships. The property is owned by a private landowner, however a company identified as 1650 Massachusetts Ave, LLC, is seeking to build the school at that address. The developer is required to obtain approval from both towns before the school can be built, but will go before the Lakewood zoning board first, at a meeting set for Feb. 5. The date for the Toms River hearing has not yet been announced. Available documents only discussed the land use aspect of the application and did not provide detail as to any specific nonprofit or religious organization with which it might be affiliated. According to public records, 1650 Massachusetts Ave, LLC is owned by Zev Spira, of Lakewood, owner of Development Management Services, based in Howell. The school will be a three story building with a partial basement, according to a public notice on the Lakewood hearing. Several variances are required on the Lakewood portion of the parcel, including a minimum front yard setback variance of 50.16 feet (where 70 feet is required); a minimum front yard setback variance for the proposed site identification sign of 5 feet (where 15 feet is required); and relief from providing a twenty foot-wide buffer to an adjacent residential use. The property is located in the R-40 single family residential zone in Lakewood. 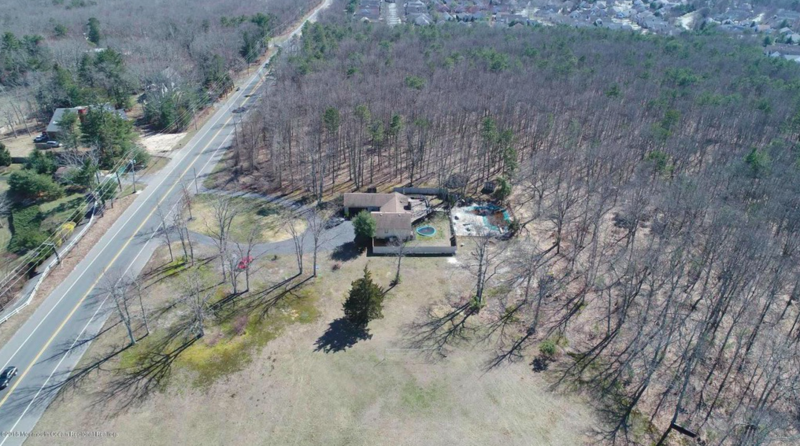 According to a real estate advertisement promoting the sale of the property, the parcel covers 2 acres in area which can be combined with a neighboring property, located at 1626 Massachusetts, to expand by another five acres. “There is water across the street and there is currently a large ranch with a full basement on the property, easily can be used while zoning is worked out,” the advertisement reads. Both properties were being offered together for $4.2 million. No sales have been recorded at the Ocean County Clerk’s office, though it is common practice for sales to be contingent on zoning approval.